President Dmitry Medvedev’s assessment of political life in the country may affect the next parliamentary elections, politicians and analysts say. The Russian president on Wednesday criticized in his video blog “signs of stagnation” in political life, which are “equally damaging for both the ruling party and opposition.” The degree of political competition should be raised, he stressed. It is necessary to make sure that the political majority is not “just static,” he noted. Many analysts now expect the president to talk more about “political stagnation” in his annual address to the Federal Assembly. 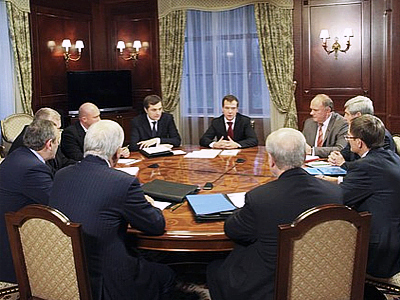 Medvedev discussed the preparation of this document with leaders of State Duma factions, also on Wednesday. The president’s statements were “only partly” connected with his meeting with the parties’ leaders, believes Valery Khomyakov, director general of the National Strategy Council. The president may touch upon this topic again in his annual address to parliament, the analyst told RIA Novosti news agency. In the near future, he speculated, additional measures to soften electoral legislation may be introduced. In particular, the collection of signatures needed for parties to take part in elections could be lifted and the threshold reduced, at least for regional legislative bodies. 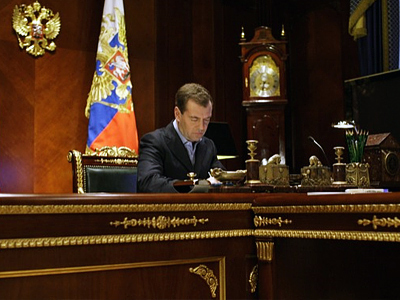 But many analysts believe Medvedev’s message was first of all addressed to the parties represented in the State Duma. It is notable that the entry in the president’s blog appeared on the eve of his meeting with leaders of Duma factions, said Dmitry Badovsky, deputy director of the Institute of Social Systems. As modernization develops, the dynamics of social transformations will step up, he said. So, the president warned the parties that they “may or are already lagging behind” society’s development, Badovsky noted. The parties seem to have agreed with the message. Andrey Vorobyov, the head of United Russia’s central executive committee, said that competition was a necessary condition for development in modern society. He also agreed with the president’s initiatives to give more opportunities to opposition parties. Nikolay Levichev, head of the Fair Russia faction in the State Duma, supported the idea to increase the transparency and fairness of the electoral system. The Fair Russia representatives were to hand over to the president two more draft bills during the meeting on Wednesday, Levichev said. One concerns the parties’ representation in election commissions, and the other deals with the procedure of early voting. Vladimir Ryzhkov, one of the leaders of the liberal opposition coalition “For a Russia Free of Outrage and Corruption” described Medvedev’s ideas on political life as “correct, but not tough enough.” The laws regarding the election system should be changed, he told Interfax. Medvedev’s statement already signals “coming democratic changes in Russia,” believes Igor Lebedev, head of the Liberal Democratic Party’s faction in the State Duma. First of all, the whole electoral system could be revised, he said. 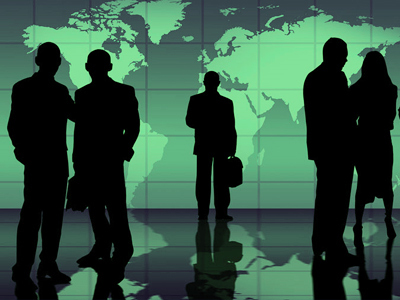 As a result, “the dominant position” of one party may end, the politician noted. “It is an impossible scenario for all deputies of all levels, governors and ministers to belong to the United Russia party,” Vremya Novostey daily quoted him as saying. Lebedev assumed that the ruling party will not gain the constitutional majority in the parliamentary elections in 2011. The opposition accuses United Russia “of everything,” deputy chairman of the party’s faction in parliament Valery Ryazansky told Novye Izvestia daily. He explained these “attacks” were by a great number of the party’s members. But the size of the party could not be reduced because “such is the will of voters,” he said.